Gene therapy is the pharmacologic use of the digital code in recombinant genetic materials (DNA or RNA) to reverse, ameliorate, or cure human disease. In this context, gene therapy can be applied to organs or cells in vivo, or to tissue removed ex vivo and subsequently administered to the patient after the cells have been genetically modified. Early gene therapeutics were based on the ex vivo paradigm. This was caused by low efficiencies of gene transfer which required selection of transfected clones with a coselectable marker gene, and regulatory concerns about monitoring effects of gene transfer on cells prior to infusion into patients. Donated bone-marrow hematopoietic cells were engineered to produce adenosine deaminase (ADA), in order to correct ADA gene deficiency and reverse a severe underlying immune deficiency syndrome (SCIDS) (17). With continued advances in gene vectors and delivery systems, it is likely that in vivo approaches will become more clinically practicable. 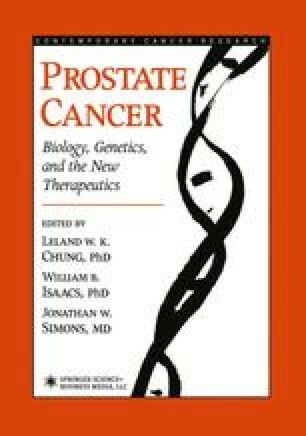 Dividing current gene therapeutic strategies into ex vivo and in vitro facilitates discussion on their current state of research and development in urological oncology. You have to see what you are not looking for to be truly creative. A young mind can solve insolvable problems—at any age.